Little Angel and Marafiki. 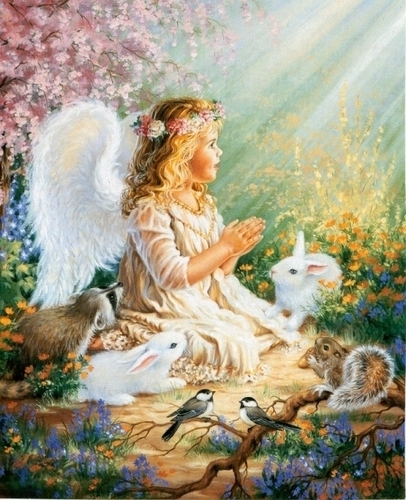 A little Angel surrounded kwa her woodland Marafiki kwa Dona Geslinger.. Wallpaper and background images in the Angels club tagged: angel little angel child angel bunnies rabbit squirrel raccoon dona gelsinger. This Angels photo might contain bouquet, corsage, posy, nosegay, mitaani, mji eneo la tukio, mijini mazingira, jiji eneo, and mijini kuweka. This images speaks volumes,very poetic ! I love all the animals in it!